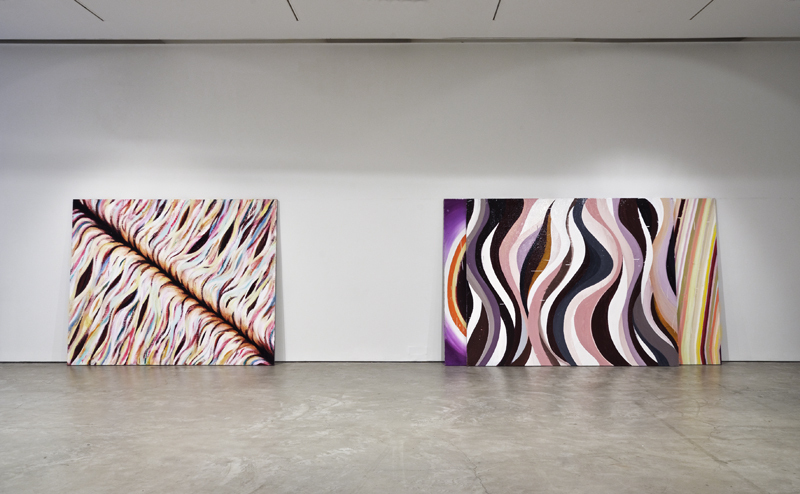 Ileana Tounta | Dimitris Andreadis Contemporary Fine Art Solo Exhibition Ileana Tounta Art Center, Athens, Greece. On Tuesday, March 05th 2019, Ileana Tounta Contemporary Art Center presents the sixth solo show of Dimitris Andreadis, titled Father. The show will run until April 20th 2019. Dimitris Andreadis, since the beginning of his artistic career, collects and works on wasted materials. He portrays pictures of everyday life, recognizable faces and persons of silence, writing down and deleting phrases and symbols and creating a poetics of the streets and the night with a strong socio-political element. 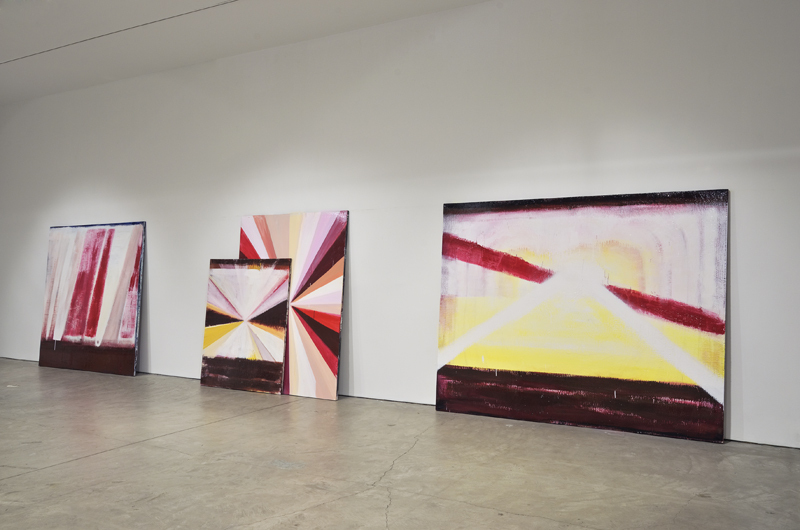 Meanwhile, he works on large-sized canvases which evolve into installations that stand in-between the open space and the wall. This inclination was meant to stay. On the edge between sculptural tactility and painting immateriality, either with an intense or a non-existent human trace, in multifaceted formations of aesthetic clarity and contradictory signs, he manages to present the spectacular and the humble at the same time, through his characteristic scale and purely personal style, having conquered his own way of expression. 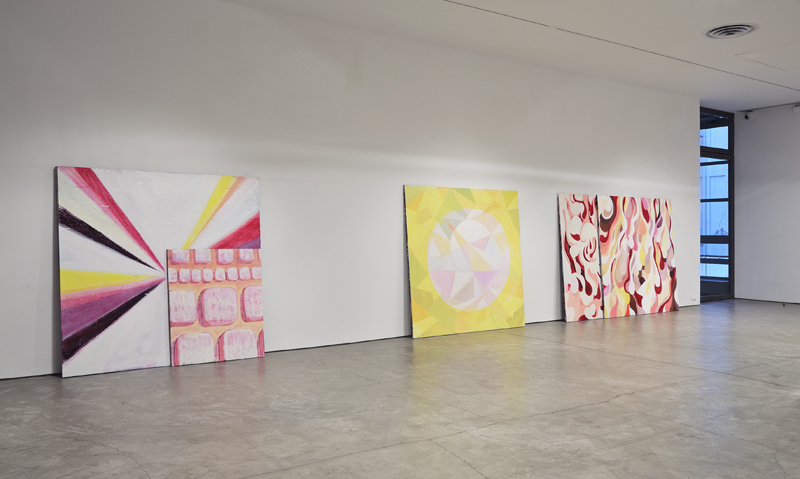 His works always balance in the realm of incomplete, thus aiming for a permanent evolutionary path, in an attempt to preserve and protect the unfamiliar undistorted within the fixed body of his appropriated and accumulated painting experience. 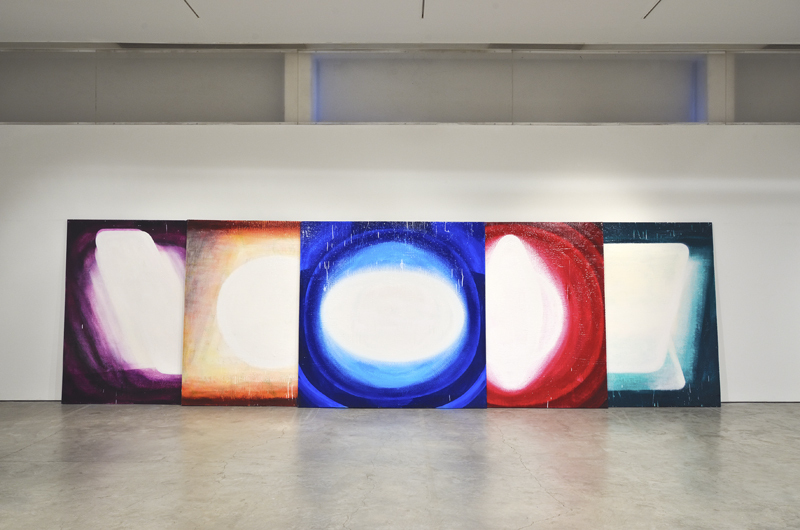 In his new exhibition titled Father, Andreadis recounts the conception as an idea, as a memory, but also as an organic phenomenon, through abstract color compositions that manage matter and vacuum with qualities appropriate to the classic tradition of Modernism, abstraction and use of colour. The reconciliation of the creator with the responsibility that arises through the obligation of art to remain unruly in times of great narratives, could be seen as some kind of mysticism that aims to coordinate the viewer with the principle of preserving life. Through the way of setting up his works and the nearly sculptural painting forms, the artist attributes value to the elements that constitute the core of modern culture, while highlighting the eternal painting mediums.